Yea, I know. 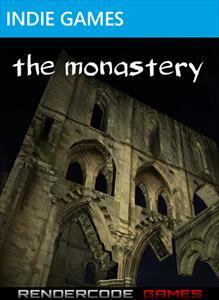 The game is called “the monastery” in one of those strange cases where capitalization is denied. There’s irony in that, because the developers didn’t capitalize on solid 3D graphics to create something worth playing. The Monastery is just plain boring. Now if the guys at Rendercode Games were aiming to create an authentic wandering around simulator, mission accomplished. Make no mistake, the visuals could have been spooky. But the scariest thing about The Monastery is just how boring it is. So what else can I say? It’s bad. Don’t buy it. I can’t say too much else, other than I hope the developer does something better with the pretty decent looking graphics engine they used. 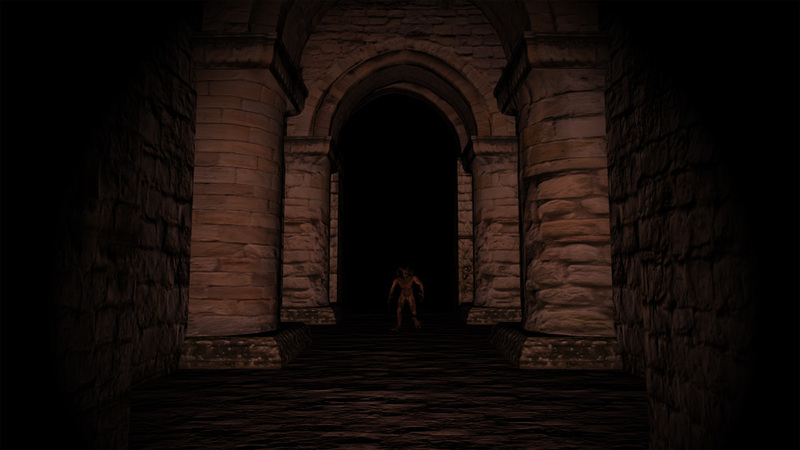 The Monastery is a scary game that’s not scary. Yes, it looks cool. It probably looks even cooler in the dark. Of course, so does radium, but I wouldn’t recommend you get near it. 80 Microsoft Points stood shaking their fist defiantly at XBLIG devs threatening them to not actually make a game of video tag in the making of this review. Seriously, it’s a game that requires the ability to run and touch other people. This does not need to be digitized. Sounds like a Slender-clone. Maybe you should try White Noise/White Noise Online and see how they compare. Yeah, you should really try White Noise/Online. The maps aren’t huge, the objects you must search for are easier to find (you hear a static-like sound when you’re close) and the bad guy (and the game itself) is quite scary. Seconded. White Noise Online is the best version of the two White Noise(s). Closest to Slender (in single-player) as you will get on consoles, currently. The Monastery matches those games on the surface, though the gameplay is handled in completely opposite fashion. How can you be a Slender-clone when you can simply ‘walk away’ from the monsters and continue playing? It’s even worse graphically, since it’s 8-bit. but whaevva. What platform is that targeting? Keep me informed. I’m into Metroidvanias, and a water-themed one sounds enticing. check out my blog, theres some info on it! I’m just right now trying to get people too check it out! A Zelda-like First Person 8-bit Metroidvania?? I love you. oh, not first-person, its regular (in any sense regular is possible in my universe) sidescroller. But other than that, spot on! Yeah, I laughed when I saw the dev didn’t even bother to capitalize the title. I agree with the guys earlier who said to try White Noise Online. It’s much better than the first WN (more maps, characters, multiplayer, etc.) and it’s not a bad Slender clone at all. I’m baffled as to why “the monastery” has 4 stars right now on XBLM..